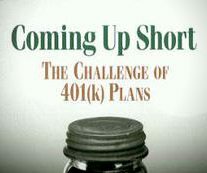 Comprehensive and up-to-date, Coming Up Short is an essential resource on 401(k) plans for financial services professionals who design, administer, or manage retirement accounts; for policymakers concerned with ensuring adequate income for an aging population; and for individuals planning for their own retirement. View myths and realities of 401(k) plans. The authors would like to thank the Smith Richardson Foundation for their generous support of this book. It’s time to stop kidding ourselves about 401(k)s. They won’t pay for the retirement most people hope for. Munnell and Sundén nail down the evidence and chart some paths to a retirement system that works. Theirs is an important and absolutely necessary book. This valuable volume contains everything you always wanted to know about 401(k) plans, but didn’t know enough to ask–written in clear English by two real experts. Buy it, and keep it near your financial statements. Financing the baby boom’s retirement may be the best-advertised policy problem ever. Munnell and Sundén offer a mid-term report card on the 401(k) system and grade it “Needs Improvement.” Their breadth of knowledge is visible on every page, and recommendations grounded in behavioral finance seem particularly apt. American 401(K) plans are seriously flawed and an inadequate model for private pension saving. They can be fixed. The urgent need to do so is ably addressed in the comprehensive and analytic Coming Up Short. Thoughtful employers and policymakers will find this book an essential resource. At first it seemed that 401(k) plans had solved all the problems presented by traditional defined benefit pension plans, but retirement income remains a major problem. Alicia Munnell and Annika Sundén tell us, carefully and without hyperbole, what 401(k) plans haven’t done, and why. More important, they offer workable suggestions to improve 401(k) plans so that more workers may retire with security and dignity. Enron gave us a glimpse at the weakness of the 401(k) plan–Coming Up Short shines a floodlight on its flaws. Munnell and Sundén ask the right questions and provide sensible, clear answers for helping the average worker build a better retirement. Their smart, straightforward analysis and innovative solutions could help us all sleep a little better at night.